#TWOisBetterThanONE! 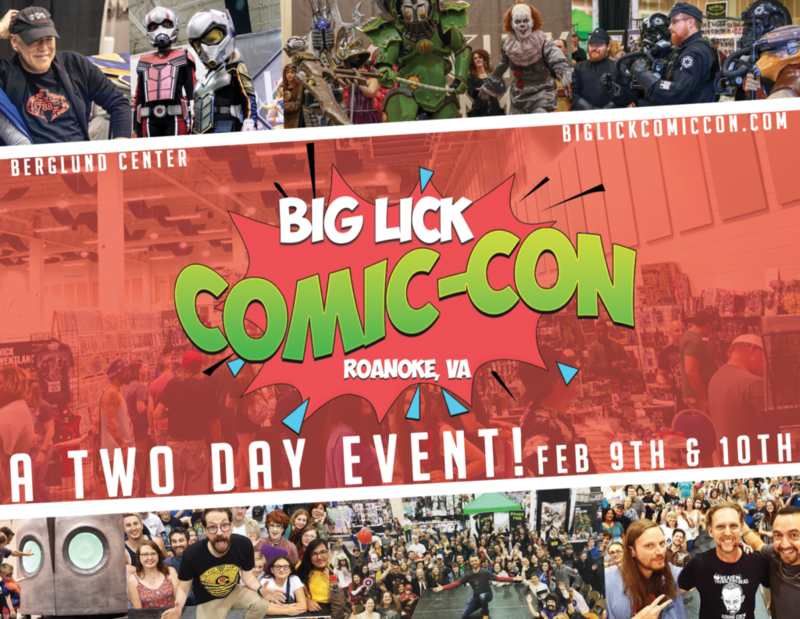 The Big Lick Comic Con returns in 2019, now featuring a massive, TWO day event Feb. 9th and 10th at Roanoke’s Berglund Center! Featuring comics, celebrity guests, exhibitors, collectors, creators, artists, gaming, cosplay, food trucks, day specific entertainment, re-entry, new pre & post party activities and so much more to be announced! We could not grow this event without your amazing support! Tickets will be on sale Friday, October 5th at 10am at the Berglund Center box office, online at www.biglickcomiccon.com and by phone at 540.853.LIVE! Don’t miss the #BigLickComicCon from Big Lick Entertainment! ← Guest announcements for Summer 2018!